We are happy to announce that the latest version (2.1.0) of Mobicip Safe Browser for iPhone and iPod Touch has been approved by Apple and is now available on the App Store. This is a major update and we have worked hard to make this version clean and stable. The new version has several new features, from the superficial to the internals. New Icon - Believe it or not, this was the top requested change from parents. Older kids found the icon with smiley faces patronizing, while younger kids loved the eye candy. So we agonized over a replacement icon and finally settled on a generic one. Hope everyone likes it this time. 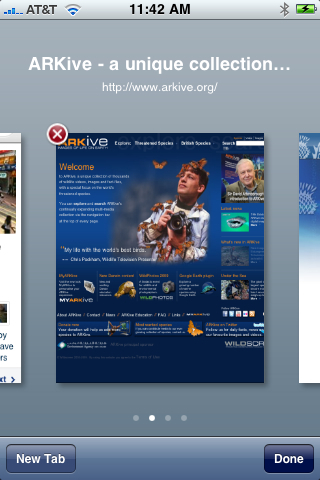 Tabs / Windows - Anyone who has used Safari Mobile would have grown to love the tabs or windows. Now you can have multiple tabs open at your fingertips and switch between them with ease. Sites like Google News will automatically launch in another tab, hold down any link to open it in a new tab, and you can always use the New Tab button to open one. Save Images - Press and hold any image and these buttons should pop up, allowing you to copy the image and paste it elsewhere or email it. Persistent Cookies - Login at your favorite websites and the Mobicip browser will remember the login information between sessions so you don't have to login again. Copy & Paste - Have fun with the new copy and paste features in iPhone OS 3.0 within the Mobicip browser. 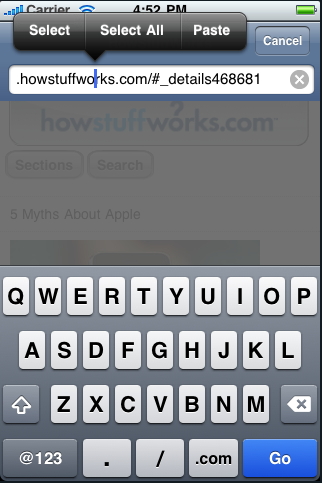 Copy links from emails and paste it in the Mobicip Browser's URL bar. Select and copy content, and paste it in your email. Blazing Performance - Ignoring all the features, the most valuable update in this version is subtle and will be perceived rather than seen. The Mobicip browser should now be as fast, if not faster, than Safari Mobile in terms of speed. Please update the app and let us know what you think. Your feedback helps shape our solution. Thanks especially to the beta users, especially Dylan and Eric, for your enthusiastic feedback and participation.